Multiple ski bums. Yeah we like that too. …nizers of this year’s visual story-telling feast known as MULTIPLICITY are feeling good. Really good. 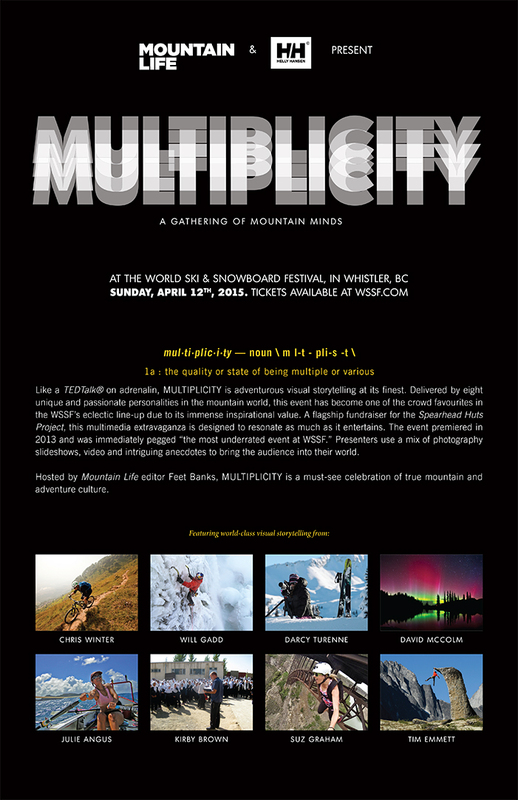 MULTIPLICITY is all about incredible visual storytelling. The eight people you see below will be telling the tales of some of their incredible accomplishments, world records, first ascents and descents, and a bunch of misadventures in front of an eager crowd of hundreds. The WSSF has so many great events, but this is without question the most inspiring night of the fest. Tickets are still available online here, or in the flesh at Escape Route and Helly Hansen stores in Whistler.